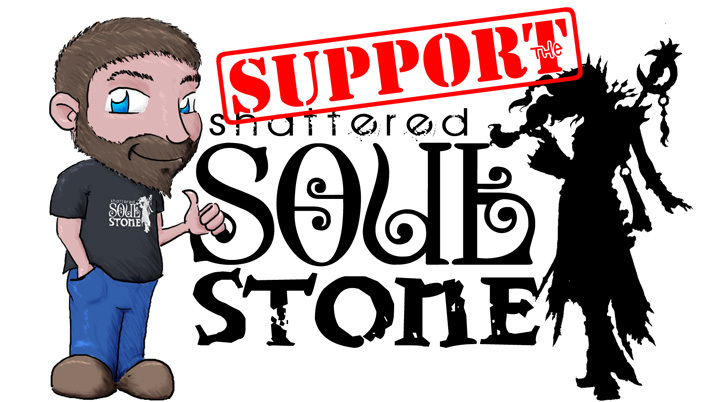 We’re back, with three out of four soulstoners! Breja has been making preparations for Season 4, Jen is still stuck at 310 Seasonal Achievement points, and Lanntonio gets an opportunity to show off his mad rappin’ skillz, yo. * We went over, and commented on, the ton of Tweets that have been stacked up and sitting in our stash. This episode includes Tweets from: @Kagerai_Leblue, @Rilandune, @gorgonzer, @nevikjames, @Kherova, @guerilla_law, @EYedgar0111, @HomeTownHero008, @Hawgeye_CTR, @LordShaper, @Cyberwolf0, ‏@Medros, @CkRtech, @Skullbash1241, @The_Breja, @scanline75, @DocOzz78, @NeinballGamer, @shawno, and @ShatteredStone. Thank you for your tweets. Don’t forget that you, too, can send in your thoughts via social media outlets such as Facebook, Google+, and Twitter. * @guerilla_law sent a tweet in which he asked a question that came from the Console Forums at Battle.net. “Will Hope of Cain work on follower items so Kormac can finally be immortal?” Do you know the answer to this question? If so, let us know about it and we will share it on the show. * We also read and responded to the emails that were sitting in our mailbox. This week’s email came from Saldarya and Funktropus. Got a question you want us to answer? Want to share some of your adventures through Sanctuary? 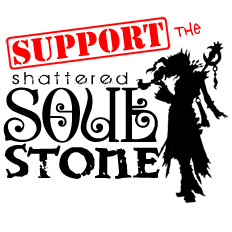 Send us an email and we will read it in an upcoming episode of Shattered Soulstone. * We selected a brand new question of the show: Where did you finish on Season 3, and are you happy with where you ended up? Tweet your responses to @ShatteredStone. * Play Your Way Thursday featured MicroWaveCat’s “Haunting Spirits” Puke Doctor build. * The final livestream Play Your Way Thursday video is now available to view. It featured MicroWaveCat’s “Haunting Spirits” Witch Doctor. * The First Look at Season 4 information has been released. It’s going to have something we’ve seen before, and a whole lot of brand new stuff. * /r/Diablo has a “Season 4 (Fastest) Leveling Guide”. Check it out and hit the ground running when Season 4 starts! * Diablo Fans has a blog with datamined information from Patch 2.3 on the PTR. Don’t miss their awesome XP chart for Paragon 2k – 10k! * MeatHead Mikhail has a video in which he explains the Season Journey System. * Diablo3Ladder.com has an interview with Vajet, a Paragon 2000 Achiever. It includes his Paragon levels from non-season and Season 3.